Of all the antagonists standing in the way of creative production, the trickiest to outwit is the artist themselves. Almost nothing can spoil a project as efficiently as the willfulness that tends to be activated by a "great idea"-and almost nothing that leads as directly to stale, over-determined work as an attempt to muscle a piece from inspiration to fruition without submitting to the long, arduous, and completely unreliable process of organic discovery. But there's a history of brilliant alternatives to the traditional creative process. Given the claustrophobic limitations of personal vision and expression, it's no wonder that Cage and company turned their attention outward, to chance operations and indeterminate compositions, concentrating artistic energy around devising means-tracing stones, dusting off the I Ching, or mapping imperfections on sheet music paper-while ceding control of the ends (to a certain degree, anyhow). Outside the world of music, the French literary collective Oulipo are known for contorting their considerable talents around arbitrary constraints, rules, and structural obligations like lipograms (in which certain letters are banned), chronograms (where all letters that are also Roman numerals add up to a specified year), and complex chess sequences (such as the Knight's Tour). In a sense, improvisation-especially free and collective improvisation-approaches the problems of artistic self-limitation from a different angle, collapsing intention, means, and end into a single spontaneous act. As enthusiasts of improvised music, we believe in the possibility (never the guarantee) that whatever emerges out of the coming together of a particular group of people at a particular time and place just might surpass the product of even the best preconceived or pre-composed music. But listen to (or play) enough improvised music and it becomes apparent how often and how invasively go-to moves and trademark tricks-cultivated by force of repetition, physical habituation, deep-rooted personal tastes, and other invisible factors-can sometimes infiltrate allegedly organic, in-the-moment playing. Or consider that if Cage's methods, concepts, and aesthetic philosophies are more appreciated (or more easily appreciated) than the results they produced, it's exactly because they're what reveals his singular genius. And you might think that Oulipian Georges Perec's 1969 novel La disparition-written entirely without the letter E and relating the mysterious disappearance of a character named Anton Vowl-would amount to nothing more than absurd and cloyingly cheeky convolution. But the personal won't be repressed: the novel ultimately matures into a stunning commentary on loss and death, themes intimate to the writer's WWII-era personal experience. Can an artist ever truly shed themselves of themselves-of habits, assumptions, and tastes, of the weight of tradition, inherited and assimilated-to discover something truly surprising and new? Maybe not. But that doesn't mean that efforts to do so haven't generated some of our most interesting art. 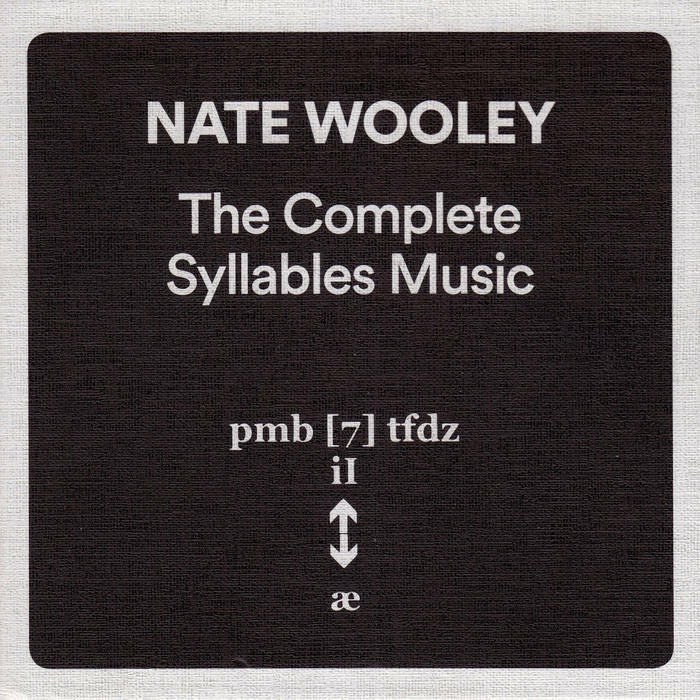 One of the most recent installments in this genre is Brooklyn-based trumpeter Nate Wooley's series of Syllables works. 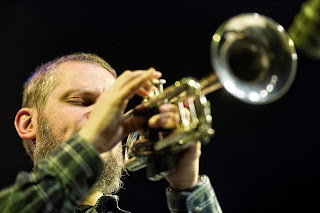 It's worth noting that Wooley's discography suggests an amazing range of artistic vision and capability, from abstract group pieces like the Seven Storey Mountain series to foot-tapping quintet albums , from experiments with amplifiers to tuneful duos with Ken Vandermark . There's no doubt that Wooley is one of the most inventive, versatile, and technically masterful trumpeters-musicians-in the free jazz world. But as much as this range speaks to his command as a player and composer, it also speaks to an insatiable restlessness, "that most basic tenet of the creative psyche," as he says in his own words, "the desire for change." 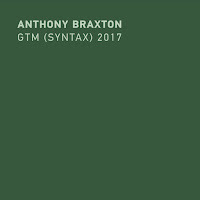 With the Syllables pieces, the desire for change and discovery comes in the form of "a conscious act of technical abandonment-the exact opposite of my working method-which caused a great deal of discomfort as I tried to rid myself of my need for musical and technical control." Just as Cage helped himself to Eastern thought and Perec borrowed from the world of games, Wooley leans out of his comfort zone by dipping into the field of linguistics, specifically making use of the International Phonetic Alphabet and its demands on the tongue, teeth, and throat. "To give an example of how the IPA was used as the basis for the works in this set, the 'L' sound (pronounced by placing the front and rear of tongue near the roof of the mouth with the middle dipped low, teeth 1/2" apart and throat slightly closed) is a simple, unconscious action in the everyday performance of speech, but when set behind the buzzing embouchure contained in a trumpet mouthpiece and sustained by breath over a duration as long as 45 seconds, the timbral and physical considerations demand an intense mental and physical effort on the part of the performer in order to make sure the sound doesn't drift into a normalized or 'correct' traditional trumpet pitch. 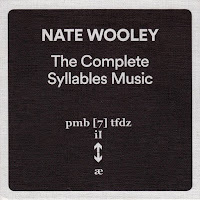 Wooley sets the physical components of that 'L' sound in his mouth, inhales through his nose and allows the sound, affected by the positioning particular to the mechanics of producing that phoneme, to just be." The focused simplicity of Wooley's method may have a hint of "Zen" about it. And while the word never appears in the liner essays, there actually is something Zen in Wooley's interest, in the Syllables pieces, in breaking out of conventional binaries of "good" vs. "bad" playing, of performance that either qualifies as "success" or "failure." In light of this aim, it seems silly to assign the music a rating; the abundance of food for thought Wooley's project yields is a testament to its richness. (Besides, how one might evaluate the success or failure of an attempt to shake the success/failure binary is a whole other obnoxious line of questioning.) And after all, artists always give up control of their art at the point when it begins to be interpreted-and evaluated-by unpredictably subjective audiences. 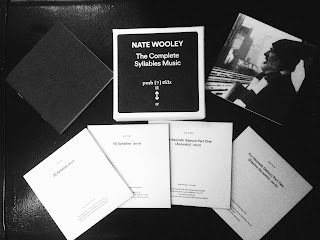 Collecting the three iterations of Wooley's Syllables project-the out-of-print  Syllables (Peira, 2012) and Syllables (Mnóad, 2013), plus the previously unreleased For Kenneth Gaburo-gives us a better view of the project's development over time. According to Wooley, the all-acoustic  Syllables, consisting of a series of one-page scores indicating phoneme embouchures and accompanying durations (order and pitch are left up to the performer), is "the most straight-forward presentation of the Syllables musical language." 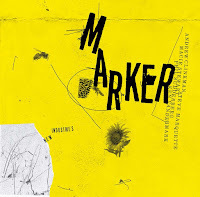 Over the piece's 49 minutes, you hear sharp attacks, long silences, and an array of sustained timbres, some of them droning, others pinched and squealing, all of them marked by the friction of physical effort. The audible manifestations of that effort are key to the Syllables performances, as Wooley trades creative willfulness in favor of sheer physical will. Accordingly, the music is characterized by tension and strain, especially as the performer approaches the breaking point. 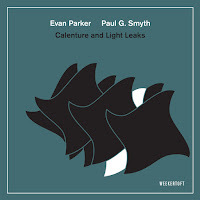 Syllables ends with eight minutes of siren-style oscillation, gaining almost unbearable volume and intensity and punctuated by Wooley's sharp inhalations as he struggles to power the machine of circular breathing. "Performance of  Syllables became linear as I made connections with memories of my youth and general feelings of enclosure, warmth, timber, cold. It was fascinating as a personal experiment, showing the power of one's personal history with a word. But, as music-and certainly in regards to the Syllables system-it was unsuccessful as it negated my attempt to sidestep traditional musical value. I had lost sight of the original desire to create something that obfuscated not only the technical and aesthetic limitations inherent in the history of the trumpet, but my own sense of what made music 'good' or 'bad.'" To help dig himself out of this hole, Wooley dismantles his personal associations by using the distorting effects of microphones and amplifiers, which defamiliarize his articulations of the "Clatskanie" phonemes. To the listening experience, this additional equipment adds contrast and dimension, especially evident when the slowed-down amplifications create a guttural, rumbling foundation for Wooley's higher-pitched playing. Not only is the effect incredible to hear, but it also proves the point, embedded in the physical demonstration of these works, that failure is a necessary part of the generative process, since had Wooley not initially failed, he would never have been pushed to innovate a solution. There's a reason that so many crucial inventions and discoveries come about by accident, the mistaken results of other intentions. Finally, spanning two discs and over 140 minutes, For Kenneth Gaburo occupies the full second half of the set. Here Wooley looks to the writing of the eponymous composer to inspire his choice of phonemes, though "the durations of the sounds themselves are purposely stretched so as to destroy any connection to their generative words." While the first half of the performance is a straightforward acoustic interpretation of the score (at 70 minutes "the longest and, therefore most exhausting, version in the Syllables compositional language"), the second half turns things inside out by adding a complementary electronic score based on the Syllables solo template. Though this expands the piece's sonic palette (including traditional trumpet sounds), For Kenneth Gaburo remains as challenging, unpredictable, and rewarding as its Syllables predecessors. In calling this set "complete," Wooley isn't performing any marketing tricks. It's "complete," instead, because he can no longer perform these pieces as they are. "In 2014," he's explained, "I began to feel the physical destruction caused by performing these pieces and, turning 40, felt that I wouldn't be able to continue to do them in their current form due to problems with my shoulders, throat and teeth (all four front chipped now)." This is an artist dedicated to questioning boundaries, pushing limits, and flirting with failure in all its forms. These things take a toll. 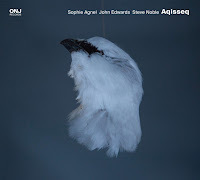 But the next shore is already in sight - the last essay in The Complete Syllables Music box outlines a proposal for adapting the system for chamber ensemble. So the question becomes: who else dares to speak Wooley's language? Thanks, Paul! It's quite a fascinating project! Great review indeed. I am a great fan of both Nate Wooley and Georges Perec, but they couldn't be more different in terms of approach to art, although both are (were) fascinated by the the most basic ingredient of their art : sound and syllables. Your review made me think of the famous line by Goethe "In der Beschränkung zeigt sich erst der Meister" : the real master shows his art when there are restrictions or when limitations are imposed. But whereas Perec uses this narrowing to wriggle his way around the self-imposed limitations and come with a bizarre, rich and abundant new language that still makes sense, Wooley opens his sound by adding things from another art, namely syllables. 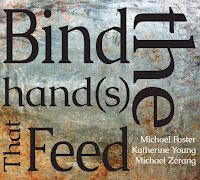 The self-imposed play with syllables broadens his pallette instead of restricting it. Great point, Stef, about Perec's narrowing vs. Wooley's expansion (and the common connection to sound and syllables!). I think I had in mind the physical aspect of the Syllables pieces, not the conceptual--Wooley severely restricting his physical freedom for the duration of a given sound or gesture, and seeing where the breaking point is. I agree this idea doesn't quite map onto Perec, who probably could have gone on writing without any E's forever... I've always itched to get some Oulipo references into my music writing. And I second the recommendation of "Life a User's Manual." I would add another (especially for anyone nervous about committing to Perec's very long masterpiece): "W, or the Memory of Childhood," which is quite strange but also quite readable and affecting.